In a series of whimsical dream images, Wangerin captures young children's nighttime fears and dispels each through a parent's heroic deed. Finally comes the ultimate assurance of peaceful slumber: the picture of a watchful God, who . . . ""Loves you, my baby true, from the brown of the ground to the blue of the sky. From the golden dawn to the grey of goodbye. 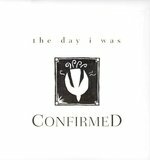 From ear to ear a million years. And butterflies both your eyes. God loves you." 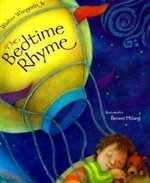 This book is a passport to sweet dreams, a perfect way to end the day--together. 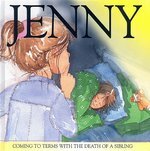 Part of the "Lion Care" series, this title offers the right level of help and explanation for children undergoing the stress of a death in the family. 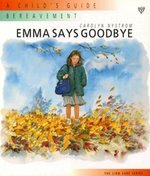 Carolyn Nystrom gives reassurance to every child. This delightful book contains fifteen poems that tell the story of a weeklong family reunion through the eyes of Jodie, a 10-year-old girl. From the original invitation and the drive there to listening to family stories and helping with a barbecue, and finally going home again, Jodie relates in verse form all the experiences she shares with her family at the reunion. 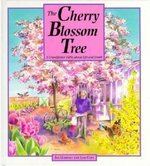 Author Mary Quattlebaum has included a variety of poetic forms, including free verse, a haiku, a sonnet, a ballad, and more, making this a rich reading experience for young readers and their families. Andrea Shine's richly colored watercolor illustrations, overlaid with bits of cut paper, capture the excitement and fun of the family gathering. 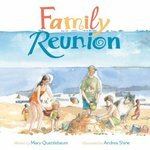 Great for reading aloud, the poems in "Family Reunion" can be shared with the whole family. Help nurture the faith of the children in your life with Growing in God's Love: A Story Bible. This engaging resource features 150 popular Bible stories that are organized by 13 themes, including Strong Women and Men; Listening for God; Parables; Healings and Miracles; and more. Each story is built on the latest in biblical scholarship and learning theory and helps children begin to understand the Bible and apply its teachings to the world around them. Growing in God's Love features diverse artwork from more than twenty artists to appeal to a variety of ages and learning styles. Three reflection questions--Hear, See, Act--are included at the end of each story to help children further ponder the message of the story. Growing in God's Love: A Story Bible is ideal for children ages 4-8, and it is perfect for Sunday school classrooms, children's sermons, vacation Bible school, and gift-giving at baptism or other milestones. Happy Baptism Day is a book children will turn to again and again as they grow in faith. It not only builds their understanding of baptism but reaffirms that they are important to God and encourages their daily walk in faith. 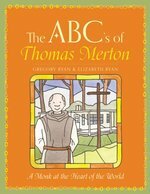 The hardcover format makes the book an ideal gift from the church or the parents of the baptized child. 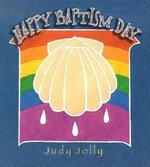 Judy Jolly uses storytelling to explain the meaning of the service and symbols of baptism. The author focuses on helping children who are baptized at an early age (but not as infants) understand the significance and importance of their baptism and celebrate their baptism day. 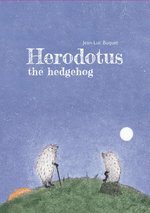 Herodotus is a curious little hedgehog who loves exploring the woods. One day he sees a bear leaving an offering of fruit and honey to the Great Spirit Bear, and he wonders if other animals worship the Great Spirit Bear too. So he decides to talk to the other animals in the forest, and discovers that they each believe something different. Herodotus is fascinated by their ideas, but eventually he'll have to decide what he believes in himself. 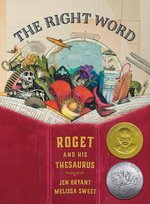 This thoughtful, engaging book will prompt readers to ponder their own beliefs and ideas about life's big questions. "In the time of King Herod, after Jesus was born in Bethlehem of Judea, wise men from the East came to Jerusalem, asking, "Where is the child who has been born king of the Jews? For we observed his star at its rising, and have come to pay him homage." This wonderful story, rich in the details of day-to-day village life, is complimented by full-color illustrations that portray the lush landscapes of the banks of the Nile as well as luminous, starlit nights. 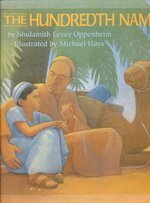 It is the story of a boy and his camel, and the faith of a child in Muslim Egypt. 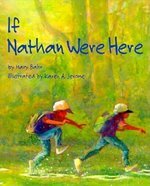 If Nathan Were Here gently explores the grief of a young boy whose friend has died. With the help of some understanding people, the boy finds ways to give expression to his sorrow and to reach out to someone else who needs him. Children's self-worth and place in God's creation affirmed through the story of Jesus blessing the children. Bright, colorful illustrations by Margaret Vouladakis Kyle. "A child plants a mustard seed in an empty garden. It is an itty-bitty seed. It isn't anything very special--yet." Discover the surprising potential of one small seed in The Marvelous Mustard Seed. Based on Jesus' parable of the Mustard Seed, this inspiring children's book shows young readers that one tiny seed--just like one small child--carries a world of potential. 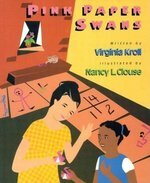 The Marvelous Mustard Seed features ethnically diverse characters, and it is ideal for children ages 4-8. A special note for parents and teachers is included. A young child describes the activities that take place at church when people come together to show their love for God. 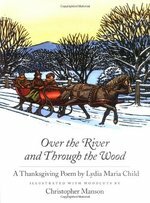 ""Recalling a simpler time, this book captures the poem's sense of excitement and celebration. 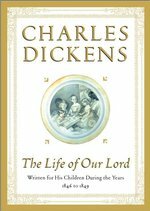 Readers who join the family en route to Grandfather's house will observe many details about life in the 19th century. . . . Manson's woodcuts, painted in the colors of a snowy evening, lovingly depict the wintry countryside"".--""School Library Journal"". Full-color illustrations. 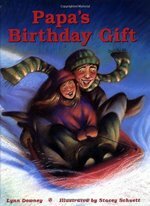 Tessa's father, snowed in at the airport, does not get home for her sixth birthday party, but he does return in time to take her for a special sled ride on her birthnight..
"Kroll's story of an interracial, intergenerational friendship comes alive inClouse's full-color, cut-paper collages, the perfect medium for the story".--Booklist. With pages full of creative family ideas, this book can help build stronger families while providing hours of pleasure for days when kids are stuck inside. Each activity is designed to enhance a child's positive self-image through fulfilling experiences with parents, grandparents, teachers and other adult caregivers. As families work together on projects, they will build wonderful, lasting memories. 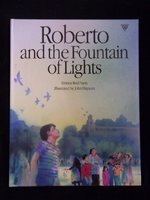 Sensitive about the very large birthmark of his face, a young Spanish boy learns to like himself when he realizes that God loves him exactly as he is. With no parents and no home, Camilla's weekend visits to the silent movie house with her auntie offer escape from an otherwise bleak existence. The other down-and-outers -- Boxcar Betty, Fingers Freddy, Toots, and Two-Time Tommy -- collect pennies so Camilla and her aunt can live the enchanted lives of the people who illuminate the mighty screen -- if only for an hour or so. With nostalgia and grace, Dandi Daley Mackall weaves an eloquent tale of hope and perseverance in the face of misfortune, of the will to survive by living through one's dreams, but above all, the valor of the human spirit. Karen Jerome perfectly captures the silent movie era with startlingly poignant images that reflect the vitality and joy of mankind, even in the face of adversity.